This is a nice old mills 5 cent slot with the free pull option. 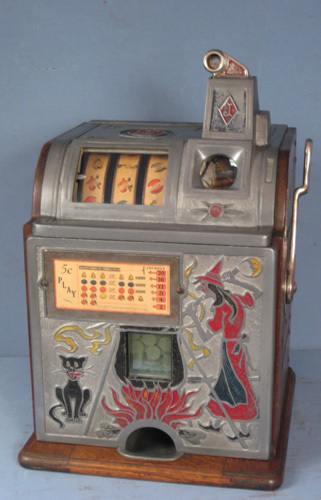 Everything works good has a jackpot and the cash box and the door lock and key. The serial # is 242778. Buyer pick up or make plans for the packing and shipping from New Jersey. Price only $1300.00 MACHINE SOLD! mills slot 5 cent free pull option.